Open main compartment with clipped flap closure. Expandable main compartment. 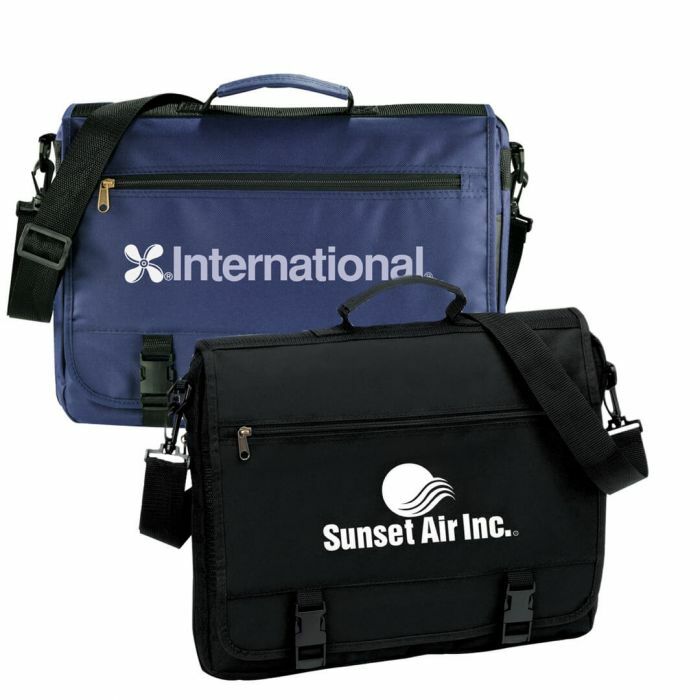 Deluxe organizer under front flap includes multiple pockets and pen sleeves. Front zippered pocket. Padded top carry handle. Detachable, adjustable shoulder strap. Pen and accessories not included.